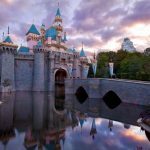 Our mission is to develop opportunities for Disneyland® Resort Cast Members and their families to contribute personal time, expertise and effort to make a positive impact on our community while furthering the ideals of The Walt Disney Company. In 1983, Disneyland® Resort Cast Members expressed a desire to form a team focused on providing meaningful service to the community. This idea soon culminated with the creation of the Disneyland Community Action Team. 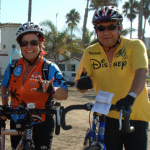 This dedicated group assisted many nonprofit organizations in Orange County, California. The team achieved great success in their support of charitable organizations, and the momentum led to a company-wide launch of the Disney VoluntEARS in 1992. Today, Disney VoluntEARS work on meaningful projects across the globe, with a primary focus on communities where Disney business units operate. Disney VoluntEARS focus efforts primarily on projects benefiting children and families, with other key areas of focus including support of education, health, the environment, arts, social service initiatives and military outreach. Cast members volunteer at approximately 200 events annually. Each year, dozens of organizations nominated by cast members receive more than $350,000 through the employee-managed Disney VoluntEARS Community Fund grants. 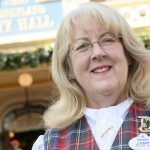 EARS to You, a program that allows cast members to turn their hours of volunteer service into a financial contribution to a nonprofit organization of their choice, most recently granted nearly $300,000 to local nonprofits on behalf of 326 Disneyland Resort cast members.